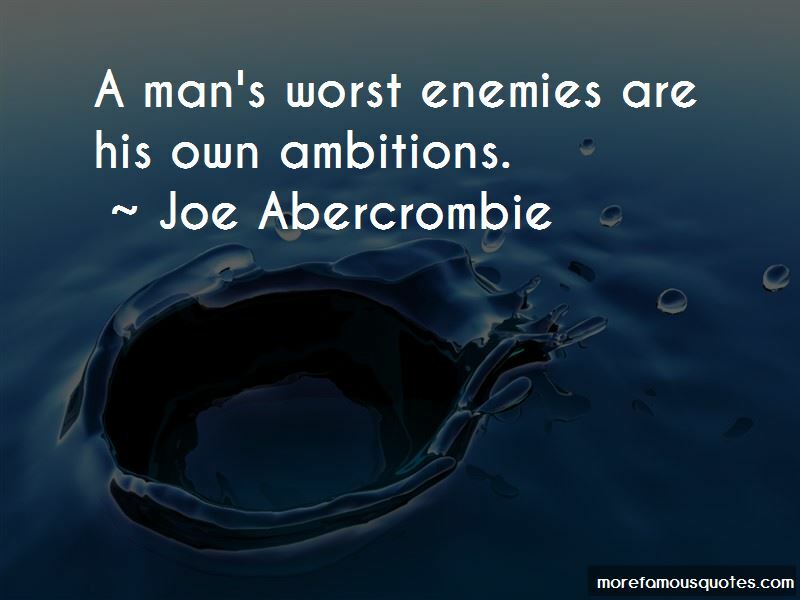 Enjoy the top 445 famous quotes, sayings and quotations by Joe Abercrombie. Travel brings wisdom only to the wise. It renders the ignorant more ignorant than ever. When you're in hell, only a devil can point the way out. “Shivers heaved out a sigh. "Just trying to make tomorrow that bit better than today is all. I'm one of those ... you've got a word for it, don't you?" He looked sideways at her. "It was a different one I had in mind." "That's the one. I'm an optimist." "How's it working out for you?" "Not great, but I keep hoping." Have you no pity?' 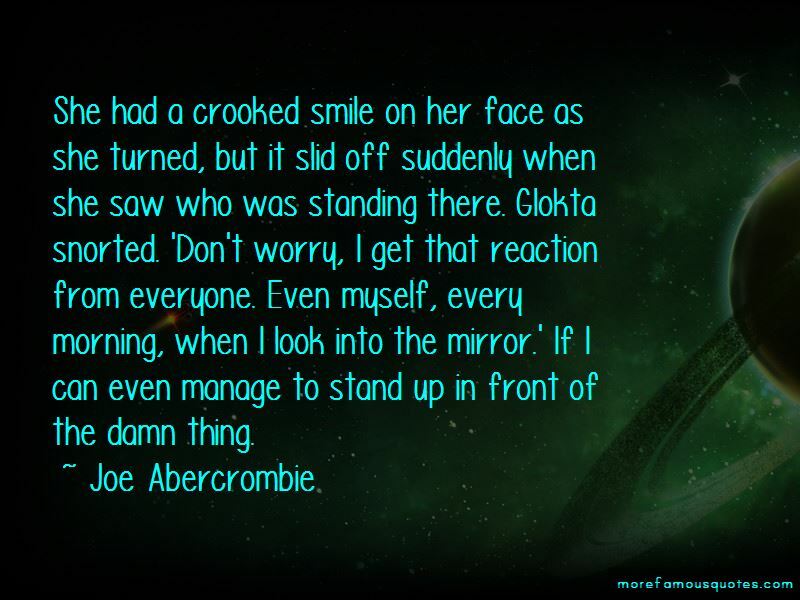 Glokta could only shrug. 'I did have. As a boy I was soft-hearted beyond the point of foolishness. I swear, I would cry at a fly caught in a spider's web.' He grimaced at a brutal spasm through his leg as he turned for the door. 'Constant pain has cured me of that. “Where d'you get the knife?" He wished he had one. One day you're something, so promising and full o' dares, so big the world's too small a place to hold you. Then, 'fore you know it, you're old, and you realise all them things you had in mind you'll never get to. All them doors you felt too big to fit through have already shut. Only one left open and it leads to nothing but nothing. The tongueless torturer and the flower of chivalry. An unlikely alliance. “Inquisitor Lorsen's thin lip curled. "There is truly nothing in you of what separates man from animal, is there? You are bereft of conscience. An utter absence of morality. You have no principle beyond the selfish." The trouble with being able to lift heavy things is that when heavy things need lifting folk step out of the way and smile at you. He could do anything and it would be right, for he had made himself a willing puppet of God's purpose and in so doing freed himself. He alone free, surrounded by slaves. “You got no one, then?' she asked. 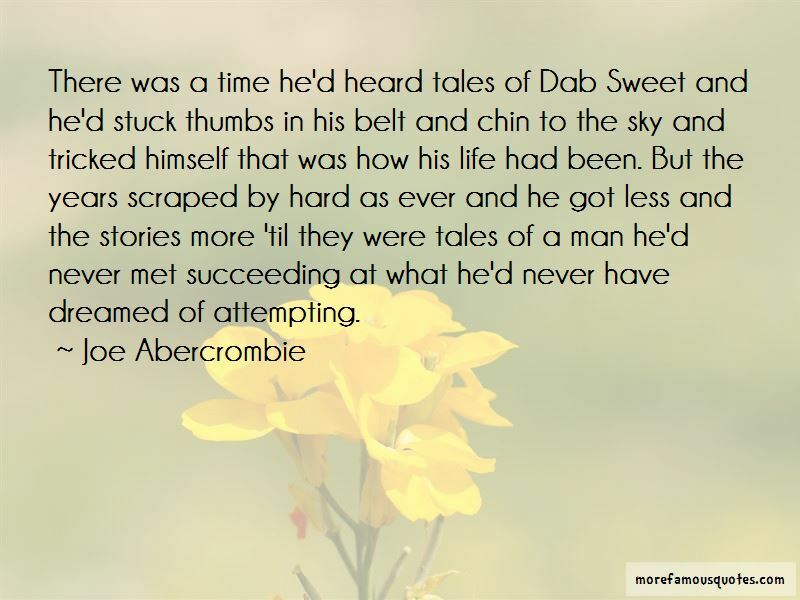 Want to see more pictures of Joe Abercrombie quotes? 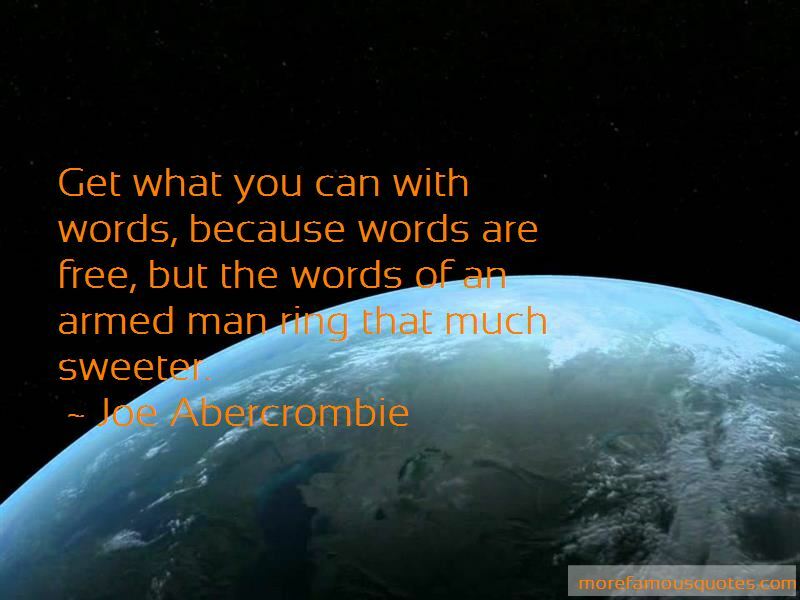 Click on image of Joe Abercrombie quotes to view full size.